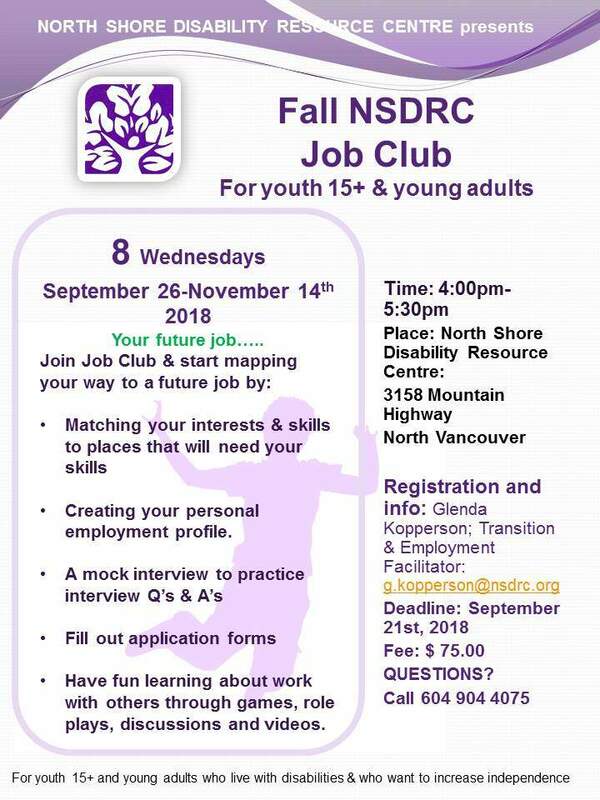 Participants must register for the Youth Job Club before September 21st by submitting a NSDRC Job Club Registration Form. Please contact Glenda Kopperson at g.kopperson@nsdrc.org for more information. This entry was posted on September 26, 2018 by Events Manager.